Sam Banerjee founded Banner & Associates more than thirty years ago, while working as a fledgeling Chartered Accountant. His passionate belief that accounting should be personal as much as professional led him to set up Banner & Associates, initially taking on a small handful of clients part-time from his spare room. That philosophy served him well, and he took Banner & Associates full-time in 1993. His wife Sue played an important role in helping the business grow, doing accounts and managing the office throughout her later years. For Sam and Sue, relationships are the beating heart of business, and that ethos is central in the firm today. 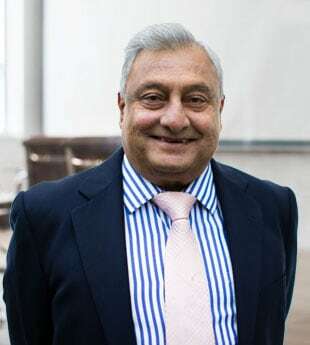 Continuing that proud heritage is Ron Banerjee, who holds the role of Managing Director. Ron joined the family business in 2011, after cutting his teeth for a decade at PricewaterhouseCoopers. The firm has continued to grow since, supporting a broad portfolio of clients across almost every industry. They never forget their family-and-friends roots though, and many of Sam’s original clients are still proud members of the Banner community. Many remember Ron running about as a small boy, as they’re keen to remind him now! If anyone has earned retirement it’s Sam, but he’s never been one for the sidelines. That applies as much today as it did forty years ago, when he was climbing K2 or flying the skies as a reservist pilot in the Indian army. Today, Sam still takes great pleasure in talking with clients, sharing his decades of expertise in accounting, bookkeeping, tax, compliance, business and life. Ron started his career on the PricewaterhouseCoopers graduate programme in Audit & Assurance. 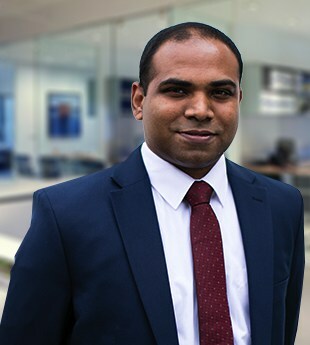 Three years later he moved to Transaction Services within PwC as an ICAEW-qualified Chartered Accountant, where he honed his skills on complex global financial deals. Then came the financial crisis, which put a dampener on merger & acquisition activity and saw him move to Business Restructuring & Recovery within PwC, before bringing his broad expertise back to the family fold. The breadth of Ron’s strategic experience lends itself especially well to business advisory projects, to help businesses navigate growth and change. Roshan joined Banner & Associates 16 years ago as a junior accountant and has been a valuable member of the team since then. He’s a trusted financial partner for clients of all shapes and sizes, who value his personal, one-to-one approach, rigorous technical knowledge and deep understanding of business. 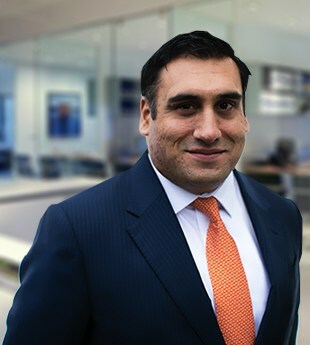 Roshan embodies the Banner approach, working closely with clients to develop a best-fit financial solution tailored to your business needs. Roshan and his team give clients total peace of mind, ensuring financial affairs are managed efficiently, effectively and accurately.